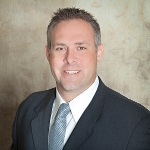 Sean began his insurance career in 2009 as a business development representative in the Central California territory for a well-known insurance company. This experience allowed him to work directly with a large number of insurance agencies and gain a deeper understanding of the numerous markets available for covering both personal and commercial insurance exposures. This experience also put him in direct contact and collaboration with a variety of business owners and agents, eventually prompting a desire to shift his career path away from company representation and toward the world of direct interaction with clients. In 2014 he obtained his California Property & Casualty license and joined the Mackey & Mackey team as a Commercial Lines Insurance Agent. Sean believes deeply that business is about relationships, with insurance being no exception. He enjoys getting to know his clients and their businesses on an individual level; this allows him the understanding he needs to meet their service expectations and design the insurance program that is right for them. Originally from Visalia, Sean is a Central Valley native who understands the unique marketplace of the San Joaquin Valley. He and his wife are dedicated to calling the Valley their home and serving the needs of their community.